JIMS Cruise Drive upgrade kit has been designed to offer positive shifting and shaft centerline integrity capable of working with modern high performance powertrains. 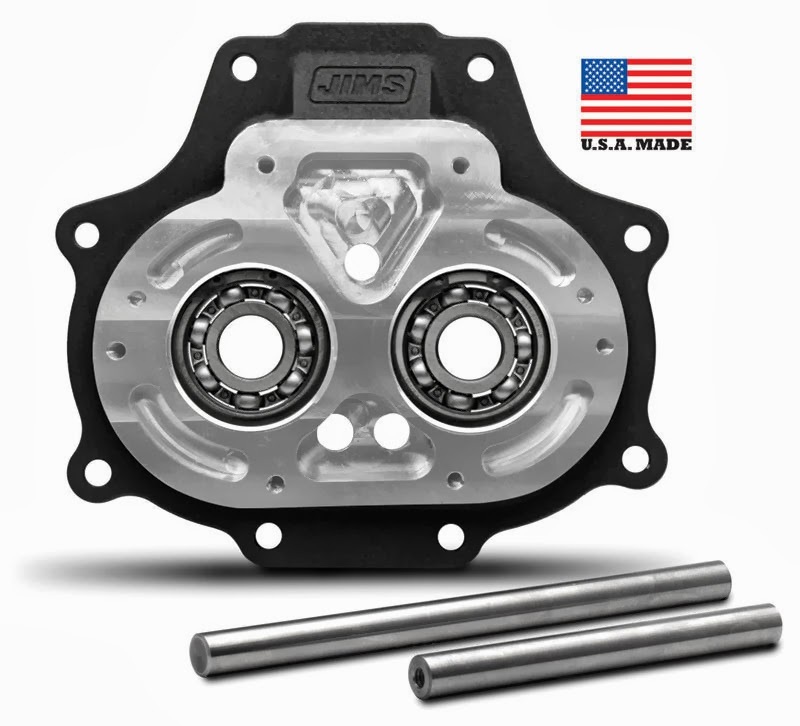 The upgraded 6061 precision-machined aluminum trap door is claimed to hold transmission shaft centerlines to within .0005in and incorporates wider, heavy duty bearings. These bearings are retained with beveled retaining rings to eliminate bearing endplay. Included with the kit are two solid true centerline rigid strength shift fork shafts that replace the OEM hollow shafts.